Our expertise covers not only technical characteristics of the products but also the sustainability and traceability issues. We are well familiar with such sustainability certification schemes as: 2BSVS, ISCC, REDCERT, RBO, RSPO. 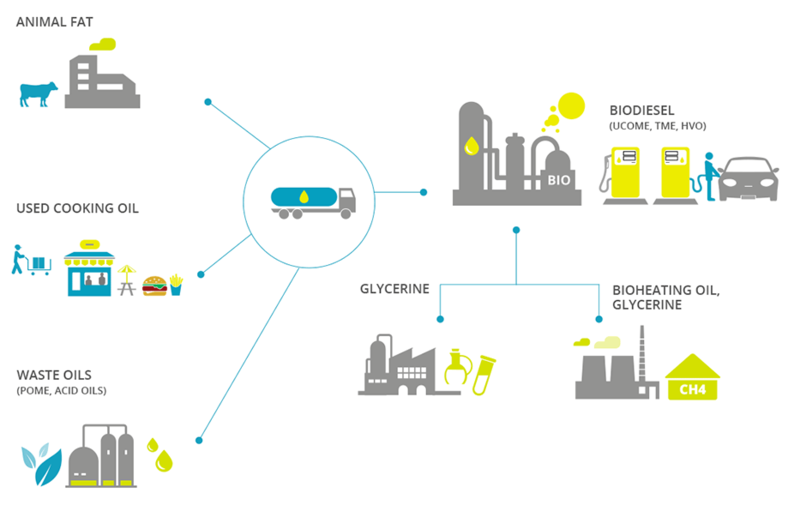 Download the specifications Biodiesel made from UCO or animal fat. Download the specifications Biodiesel made from UCO. CFPP is between 0°C and +5°C. Download the specifications Residue of biodiesel distillation. It can be used in the cogeneration sector.